Adventures in Argentina : FIVE MONTHS! This week was kinda slow to be honest. The good news is that we found 4 new investigators this week! Now we just can`t get the 2nd lesson. But it will come. Remember the guy named Omar? Yeah, we weren`t able to see him yesterday. He wasn`t home so now we have to wait til next Sunday. We did meet a lady this week named Estela. Her family lives in Buenos Aires, but she just lives in Villa Gesell. We found out that her esposo just died. We started talking about eternal families and she said that we were really sent to her. Hopefully we can get her baptized! First step is the 2nd lesson though haha. We also met a family that has 8 people in it! We taught them the Plan of Salvation because they were interested in eternal families too. We had an appointment with them, but they didn`t answer the door. Then we went to go see them yesterday and the kids were out playing but the parents had some friends over and they were all drunk. So we are gonna go by another day. It says in the Missionary Handbook that holidays and Sundays are the best days for tracting because that is when families are home. In Argentina, it`s the days of futból and drinking. So Sundays and holidays, not so great here. They also have a thing here called ALB or Abrir La Boca. Open the mouth. And its a point value. 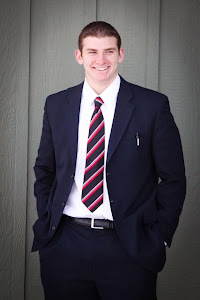 For every missionary who contacts 10 people gets 1 point. Well, Elder Rivero and I do something different. It´s called encontrando espiritual. Or spiritual finding. We pray when we are at an intersection of which way we need to go and we get lead to a house. So this week, we had 0 AlB´s but 4 new investigators! That is without the branch`s help too. The branch is starting to like us I think. They still don´t give us refferals. But! We are going to start English classes next Wednesday! Almost every member in our area wants to learn English. We told them they have to bring friends. We had a menas-activa become reactivated this week too! Her name is Noelia and she is 18. She has a strong testimony and is a capa. Sadly, her sister, Idalia, isn´t that strong. A month after she was baptized, she started living with her new boyfriend. And she has a 3 year old that when she doesn´t get what she wants, she throws a huge tantrum. I mean that has to be all three year olds right? 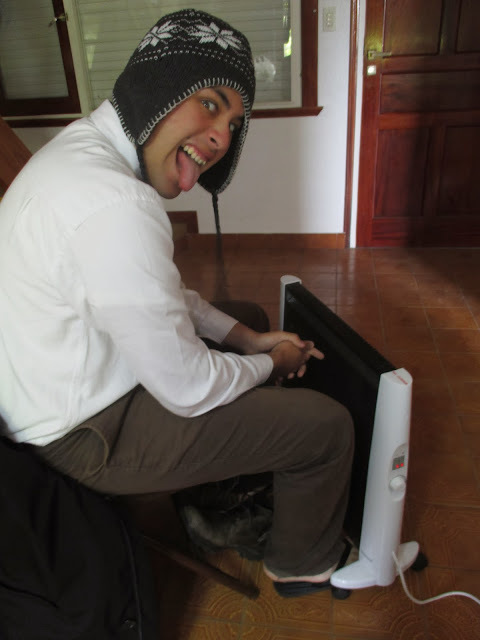 Anyways, the 3 year old doesn´t like church, so Idalia won´t go because of her. So, we are trying to work at that. But that´s pretty much my week. My day basically goes like this. Wake up, workout, have my daily omelet (yes, I can make an omelet now, and its really good with Argentine meat.) and do personal study for an hour and comp study for an hour, and then walk to a members house to go eat lunch and then go out an teach our investigators or whatever appointments that we might have. I have been reading Mosiah lately and can I just say that King Benjamin is that coolest guy ever? He just talked so simple and basically just said all we need to do to prosper in our life. I was also reading about Abinadi talking to King Noah. I love the part where the King says to execute him and then Abinadi goes all out and says, "Touch me not!" Gives me goosebumps every time! I also finished Our Heritage and my testimony about Joseph Smith has grown so much! There is no way that someone would´ve done all that he did just for a book! This church has changed so many peoples lives and brings happiness to their soul. I know without a doubt in my mind that Joseph Smith was a prophet of God and that he restored the church of Jesus Christ back here on the earth. I also know that this is the church in order to reach salvation and achieve the greatest gift of all of God´s gifts and that is eternal life. I love you all so much! I pray that the missionary work in your wards are going very well. Please write me back! 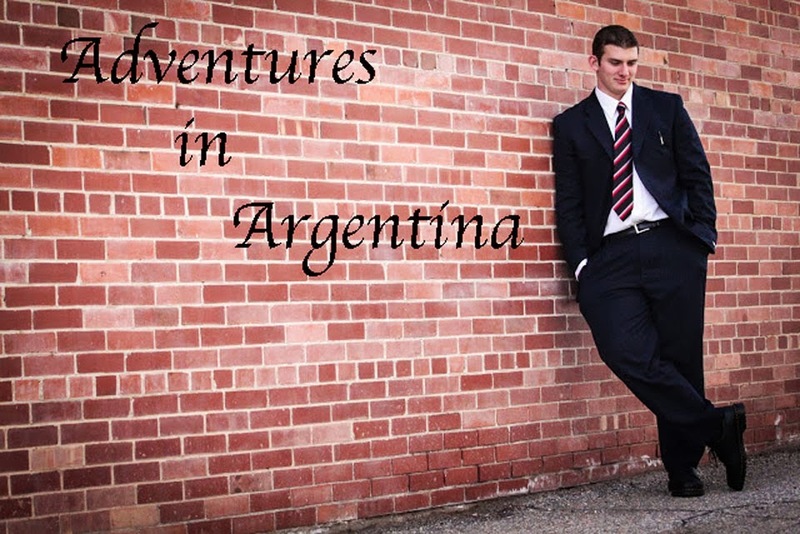 Follow Elder Evans' Argentinian Adventures, while he serves his two-year mission.